New Subediting gives a detailed account of modern editing and production techniques. Its aim is both to help the young subeditor and to spell out to the newcomer to newspaper journalism what happens between the writing of news stories and features and their appearance in the newspaper when it comes off the press. In this age of technological change the quality of the subbing has never been more important to a successful newspaper. The careful use of typography, pictures, graphics and compelling headlines and the skillful handling of text coupled with good page planning, all help to give character,style and readability. 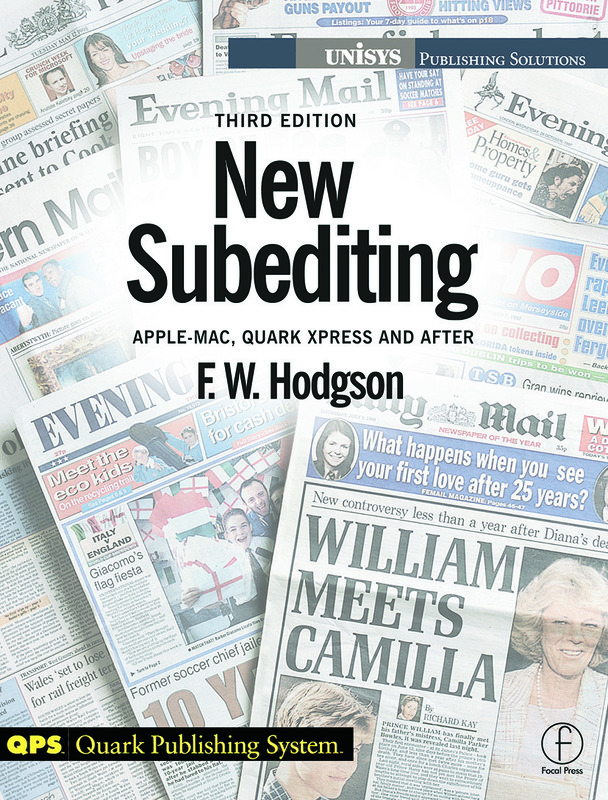 This book examines, and draws lessons from, work in contemporary newspapers in editing and presentation; it defines the varied techniques of copytasting, of editing news stories and features, of styles of headline writing and the use of typography to guide and draw the attention of the reader. It takes into account developments in the use of English as a vehicle of mass communication in two important chapters on structure and word use; and it shows how to get the best out of the electronic tools now available to subeditors. It also reminds journalisis that, however advanced the tools, a newspaper is only as good as the creative skills of those that write, edit and put it together.